October is one of my favourite months of the year for many reasons. The weather is finally getting bearable and of course we have Halloween. Even though we don't really have Halloween in Greece (we have the canrival which is much later) it is one of my favourite "holidays". So this month's nail inspiration is Halloween themed. 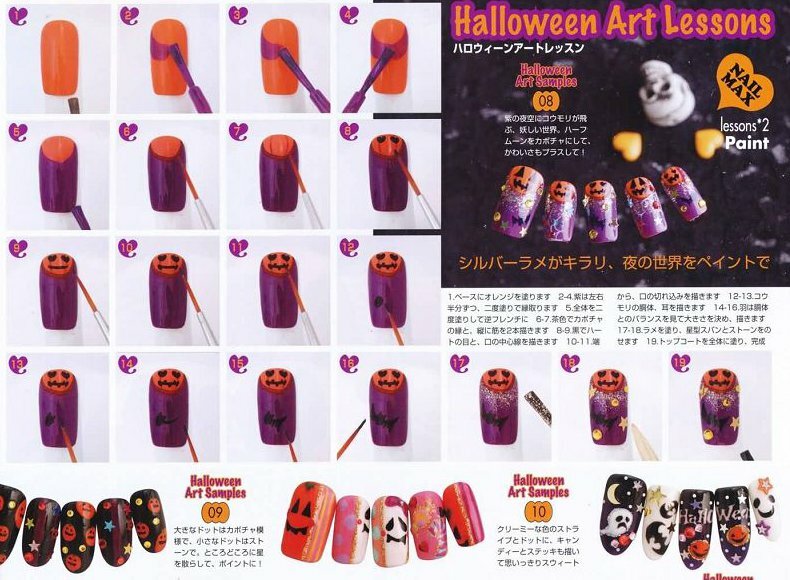 Here are some interesting nail art designs from old Nail Max issues I have lying around in the house. I love these Girls Rock themed nails. Especially the cherry one is to die for (must try this one asap). 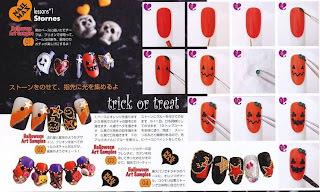 And here are a couple of step by step Halloween nail art tutorials that are quite easy to achieve. 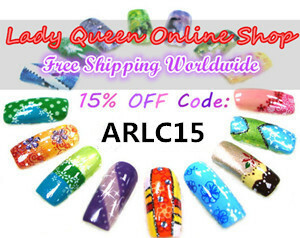 Do you like any of these nail art ideas? 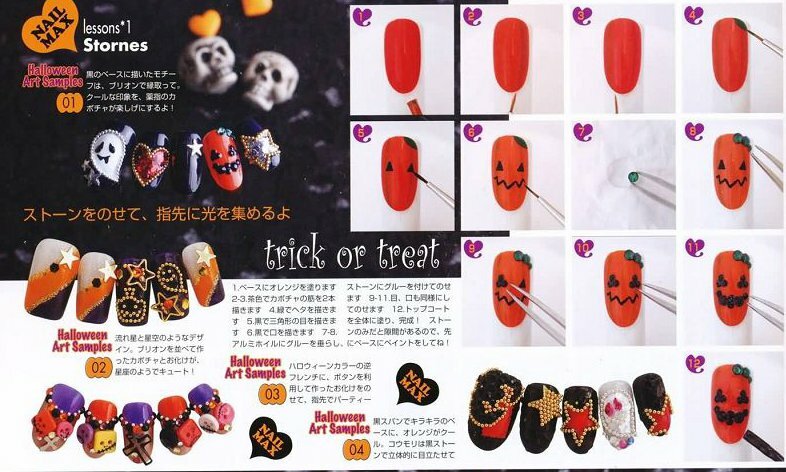 Will you try a Halloween themed manicure this year? p.s. you can click on the pictures to see larger versions. I also like the cherry one. I actually did it in 2009 taking inspiration from a japanese magazine. :) Sadly, I didn't take pictures back then. You should definitely do it! I love all of the Halloween designs. I will definitely be doing a Halloween mani, probably Jack and Sally. Gowd I loved this post! Here in portugal we almost dont celebrate Halloween either. I used to live in a place that Halloween was just like in america! Miss it! I'm gonna make a great hallo mani this year! Thanks for the inspiration!. Στην Σουηδία το γιορτάζουν κάνοντας μασκέ, theme parties! Τα σχέδια με τα κερασάκια είναι τέλεια! thanks for these inspirational scans!! :) :) I really like halloween! I can't wait to see your creation! I really wish we celebrated Halloween in Greece, I love it! !